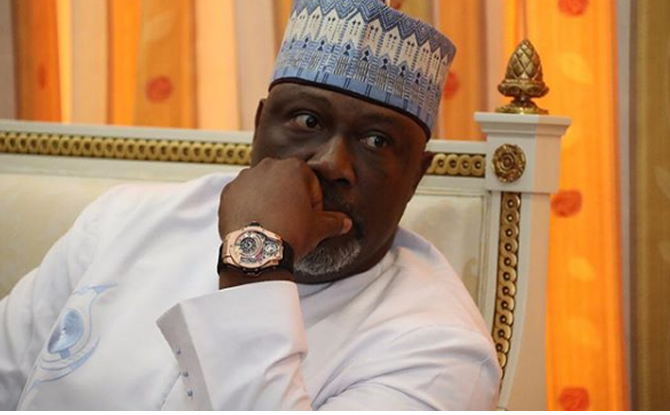 The Kogi State Police Command has confirmed that it sent a detachment of officers to the house of Sen. Dino Melaye in Aiyetoro-Gbede, Kogi State on October 11 in order to arrest him. The police command, in a statement on Saturday, said it took the action based on the July 19 shooting of one of its operatives, Sgt. Danjuma Salihu, by thugs suspected to be loyal to the senator. The statement signed by the command’s spokesman, William Aya, said the clarification followed the allegation by Melaye on his Twitter handle of October 12 that the ADC to Governor Yahaya Bello led some officers to his house to assassinate him. “The command wishes to state unequivocally that the statement is a figment of the imagination of Melaye, who has mastered the art of political gimmickry. It is totally false, malicious and highly mischievous. It accused Melaye, who is representing Kogi West Senatorial District, of mobilising thugs to attack its personnel on duty along Mopa–Aiyetoro-Gbede on July 19 without any provocation.